The balance is tipping. Something shifts in the world of Lunis Aquaria. Menacing creatures, daunting deserts, and treacherous mountains. Hardships and solace, friendships and love. Read the stories of what went on before the world is lost in disparity and meet the heroes who will one day restore harmony. 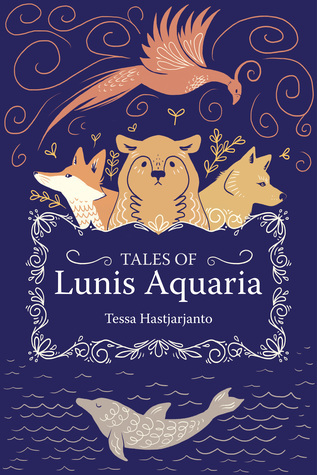 Tales of Lunis Aquaria is a collection of nine short stories set in th The balance is tipping. Something shifts in the world of Lunis Aquaria. Menacing creatures, daunting deserts, and treacherous mountains. Hardships and solace, friendships and love. Read the stories of what went on before the world is lost in disparity and meet the heroes who will one day restore harmony. To ask other readers questions about Tales of Lunis Aquaria, please sign up. I loved all nine of these very unique stories and their powerful and individual messages. The author weaves such a magical spell with her words and this collection is a lovely way to switch off from modern life and lose yourself in another world. Perfect for fans of Heidi Catherine. Excited to see what Tessa Hastjarjanto comes up with next! From a young age, she imitated popular stories and games in creating her own worlds. This love eventually led to a masters degree in media and game studies at the University of Utrecht. However a mundane desk job was enough to ins Tessa Hastjarjanto is a Dutch/Indonesian writer from the Netherlands. She writes speculative fiction, and blogs at narratess.com about books, fountain pens, and writing.